(we recommend viewing in full screen mode). Published by Matthieu on January 17, 2015 at 6:10 pm under Uncategorized. Lemay Outillage Rocking our World! Lemay Outillage, another local machine shop, has given their support to the McGill Racing Team by machining our rockers. 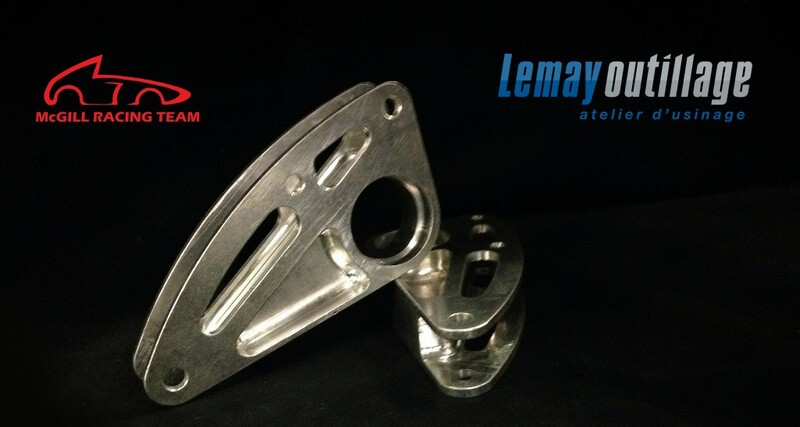 For any of your machining needs, look no further than Lemay Outillage, they produce high quality machine parts! Published by Matthieu on November 14, 2014 at 8:57 pm under Sponsors, Uncategorized. 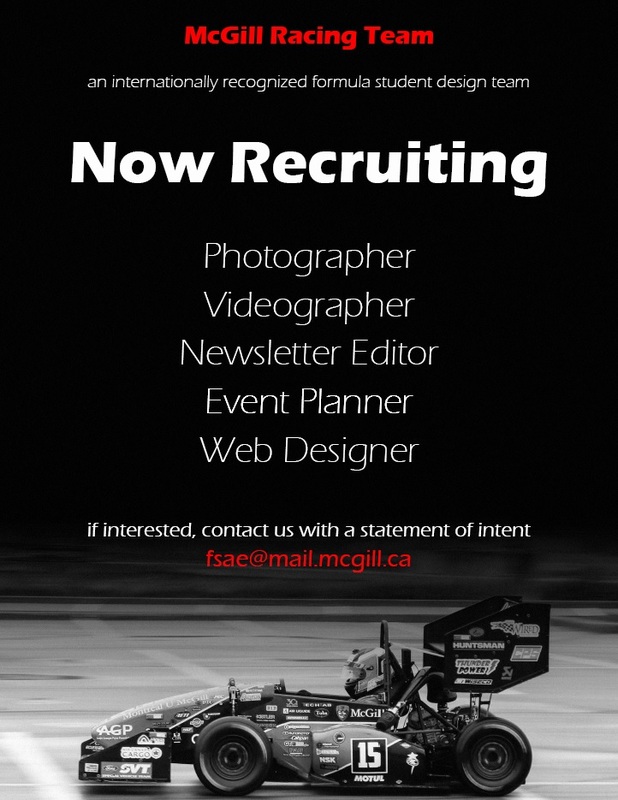 Join the McGill Racing Team’s Media and Communications subteam! 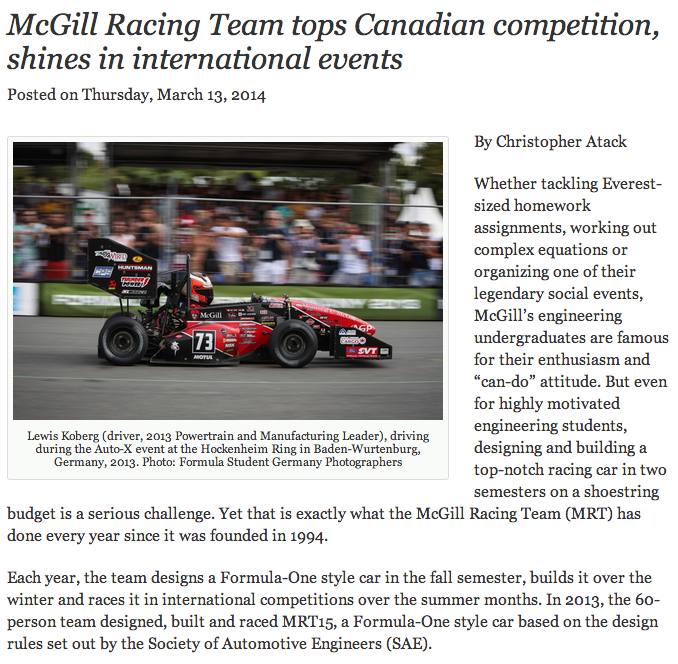 –Web Designer: The McGill Racing Team currently occupies a McGill Blogs page. In order to have a more customizable website, the team would like to make the transition to a personal web page that is easier to modify. Looking for someone with experience designing, releasing, and maintaining webpages. If you consider yourself qualified for any of these roles, please contact the team with a statement of intent. Please include experience, skills, and a motivational statement. The McGill Racing Team is a student run design team and therefore neither offers remuneration nor course credit for the work done by its members. 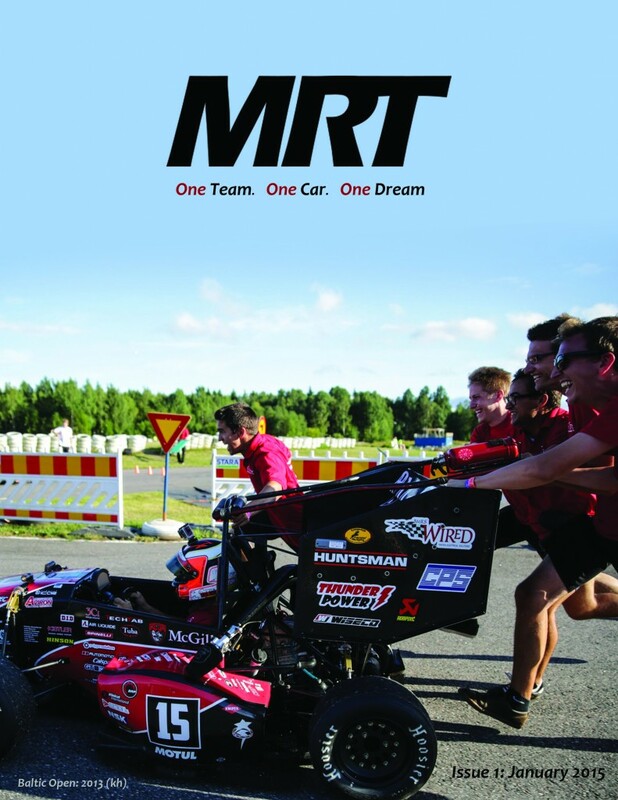 The McGill Racing Team prides itself on providing its members with opportunities to complement their studies while also opening networking possibilities in the community. 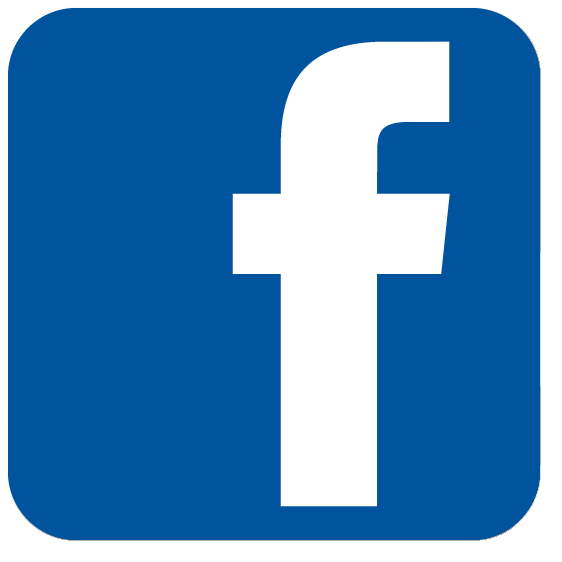 Additionally, please check out the team’s Facebook page and YouTube channel! Published by Matthieu on October 16, 2014 at 4:45 pm under Uncategorized. Cherished friends, family, supporters, and sponsors, it is with deep regret that we must announce that we will be unable to compete at Formula SAE East this coming week. Our team has been grappling with substantial manufacturing hurdles this season and unfortunately they have proved too great to overcome in time. We cannot thank you all enough for your continued support, and we look forward to sharing our newest prototype, MRT16, with you soon. Needless to say, we are very proud of the hard work our team has put in this year and believe we have a great design on our hands. Members of our team will still be attending FSAE-Michigan as spectators; we look forward to seeing you there! Published by Lew on May 12, 2014 at 11:45 pm under Uncategorized. BMRS: The Best Fit for MRT16! 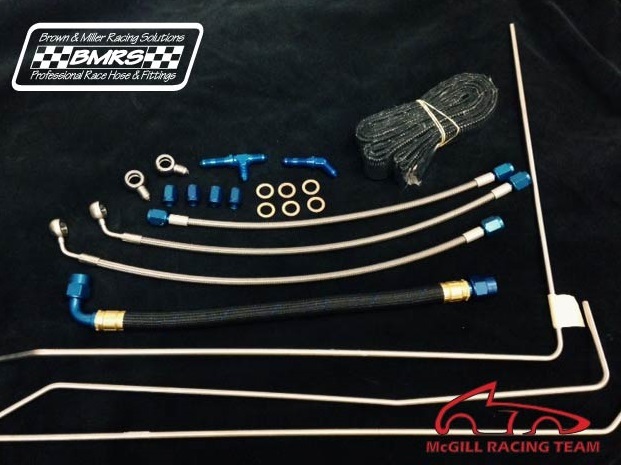 A huge thank you goes out to Brown and Miller Racing Solutions for providing us with custom brake lines and fittings for MRT16! Published by Matthieu on May 12, 2014 at 7:08 pm under Uncategorized. 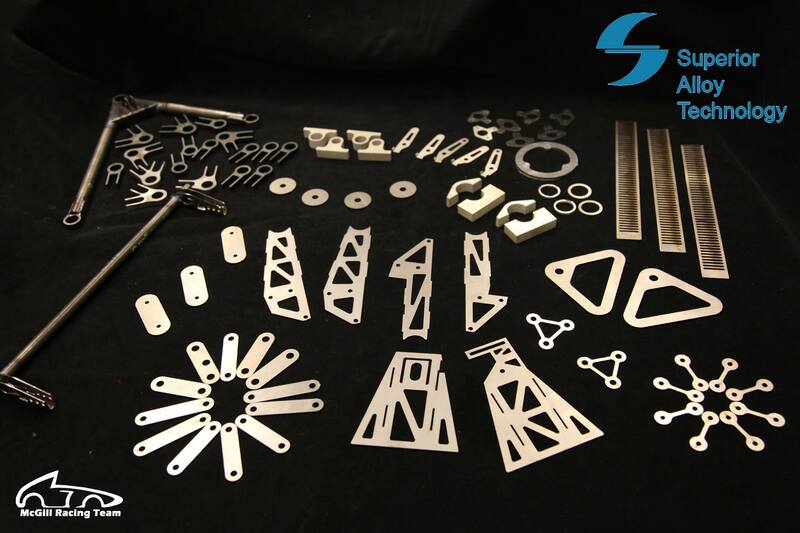 Thank you to our sponsor, Superior Alloy Technology, for providing us with the material and laser cutting services! Published by jenny on April 8, 2014 at 12:20 pm under Uncategorized. 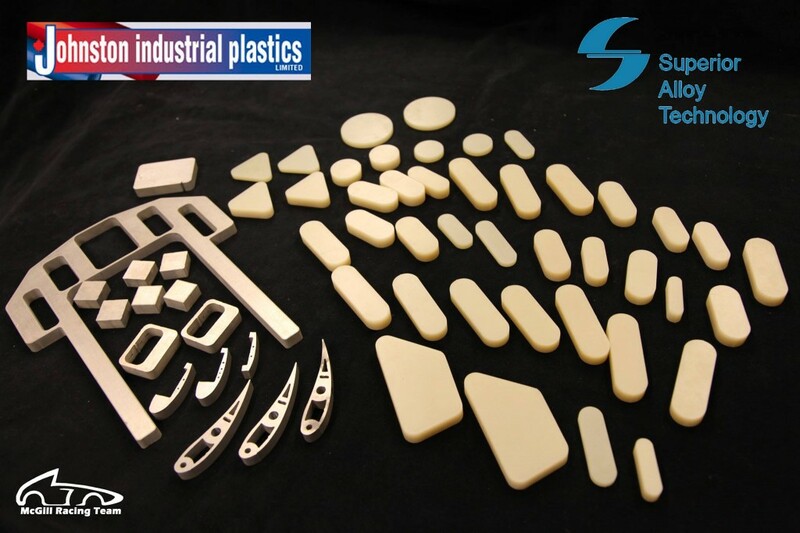 Thank you Johnston Plastics for providing the G10 Epoxy Laminate, and Superior Alloy Technology for providing the aluminum and waterjet cutting services! 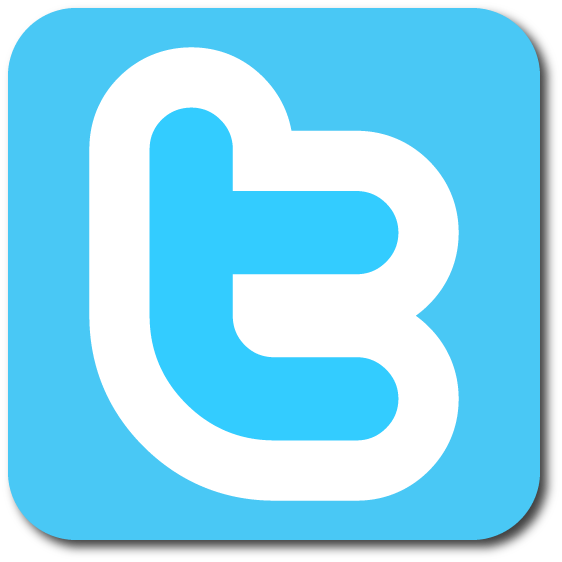 Published by jenny on April 8, 2014 at 11:48 am under Uncategorized. Featured on the McGill Reporter! Check out the great article written about us in the upcoming edition of the McGill Reporter! Published by jenny on March 18, 2014 at 9:03 pm under Uncategorized. A Generous Donation from NSK! 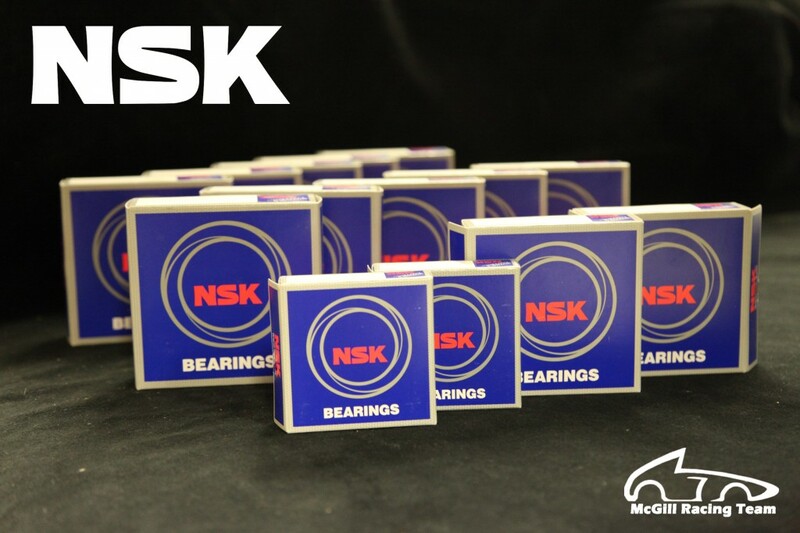 MRT is now fully equipped with bearings; thank you NSK for supporting us! Published by jenny on March 13, 2014 at 12:02 pm under Uncategorized. A Big Thank-You to Creaform! 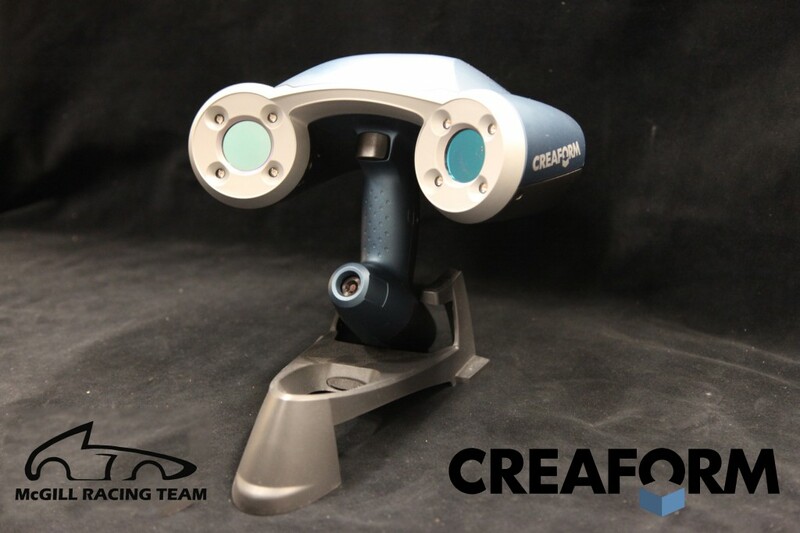 Thank you Creaform for providing the SAE chapter with this awesome hand-held 3D scanner. This scanner can help us generate a 3D CAD model of any part! Published by jenny on March 7, 2014 at 10:00 pm under Uncategorized.